At Elite Parking, we like to stay informed about industry trends including technology. The challenges the parking industry faces may differ significantly around the globe, but technology is bridging the gaps. The Global Parking Association Leaders (GPALs) Summit, a group comprised of parking associations from around the world, recently took a survey that involved parking professionals from 21 countries. The results revealed some basic similarities along with a few country-specific differences. Elite wants to congratulate Karin Rodriguez for receiving December’s employee of the month. She started his career with Elite just over a year ago as the valet parking attendant at Etaru Japanese Restaurant in Hallandale. She now oversees the valet needs of residents at Aventura’s Marina I. Her dedication to providing excellent service and going above and beyond for guest’s made her the perfect nomination for this month’s highlighted employee. 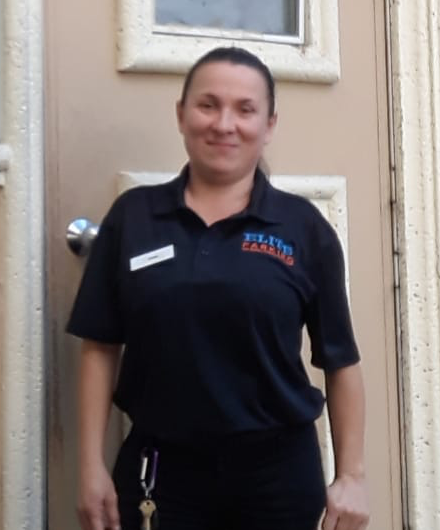 As a valet attendant, she handles all areas including: overseeing the daily valet functions at the property; managing traffic and parking control within the property; assisting guests in their parking needs; making sure each guest receives excellent service; handling tickets and maintaining vehicle log sheet for the parking facility. Rodriquez works daily to provide guests with “white glove service” and uphold the property’s exceptional standards. Rodriquez is a native of Cali, Colombia, but moved to Miami over seven years ago. When not at work, she enjoys spending time with her husband and two children. 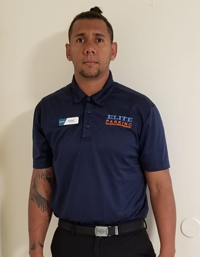 Elite wants to congratulate Dadiarc Rabaza for receiving November’s employee of the month. He started his career with Elite just two years ago as the manager at Portofino Towers, but quickly moved up the assume the position of an Area Manager for a cluster of hotels including Washington Park Hotel, The Hall, Casa Boutique, Redbury Hotel, just to name a few. He also oversees operations at the 16th and Washington parking garage in Miami Beach. He brings eight years of parking industry experience. As an Area Manager, he handles all areas including: overseeing the daily operations at each property; managing traffic and parking control within the property; assisting guests in their parking needs; making sure each driver provides excellent service; maintaining vehicle count and log sheet for the parking facility. Rabaza leads his team to provide guests with “white glove service” and uphold the properties exceptional standards. Rabaza is a native of, but came to Miami over eight years ago. He wants to continue to pursue his education and career in the industry. Often parking lots are viewed as a vast open space solely made for the purpose of parking vehicles, which may sit for hours, days, even weeks at a time. The parameters formerly set out of what parking lots are useful for have begun to change. In fact, many see them as the technological hubs of the future. Parking lots are invaluable when it comes to use of land and sustainability. City planners and parking professionals are finding ways to make every inch of these open spaces as an opportunity for smart, green sustainable growth. According to Elite’s Parking’s Managing Partner Ruben Perez-Sanchez, smart technology is found in every area of people’s lives and it’s now making its way into the parking industry. “Now people in the industry are altering their vision for these open spaces. Garage technology needs to progress past the simple use of smart meters and plate readers, to various encompass sustainable initiatives such as charging stations, smart benches, rainwater collectors and smart trash receptacles,” said Sanchez. As the parking industry moves into the next decade it will have to rethink the future of parking lot design. There will be a call for the implementation of more green initiatives from landscape buffers to green walls, smart receptacles, traffic lights even recycled water. Investing in smart and sustainable practices in parking lots will promote higher green standards within the community.